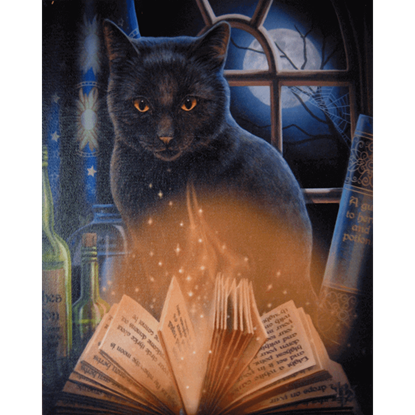 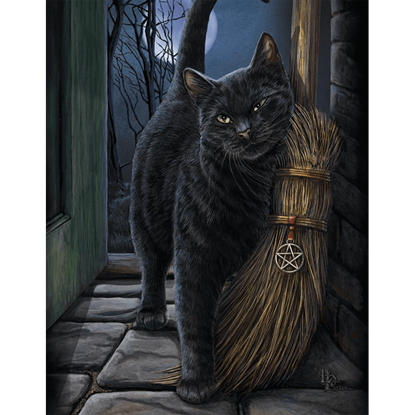 Folklore tells of cats seeing beyond this realm and into the unknown. 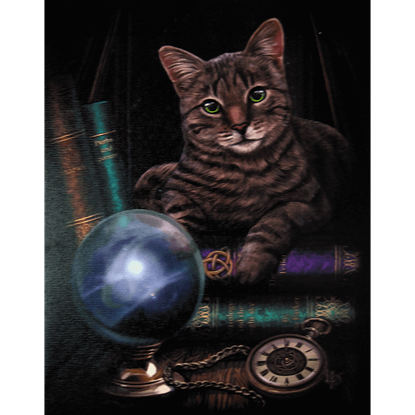 In our Fortune Teller Art Print, a grey tabby gazes curiously at the viewer while mysteries of purple, silver, and blue swirl about inside a crystal ball. 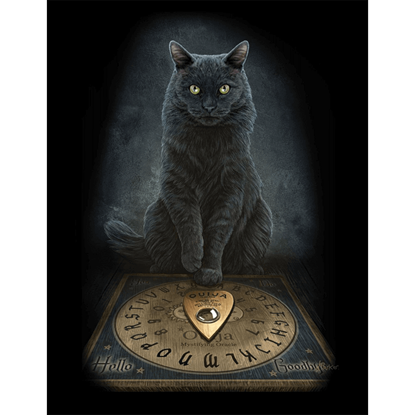 A loyal familiar even when parted by death, this black cat patiently waits to commune with his master, his paws ready to operate the Ouija board. 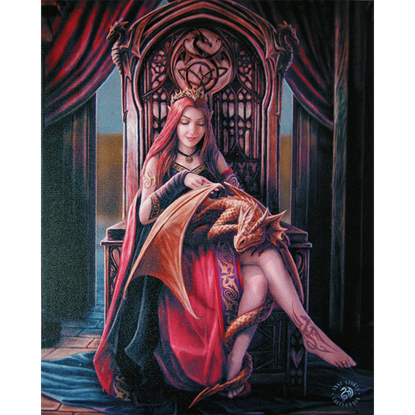 His Masters Voice Art Print, by Lisa Parker, depicts this scene in stunning detail. 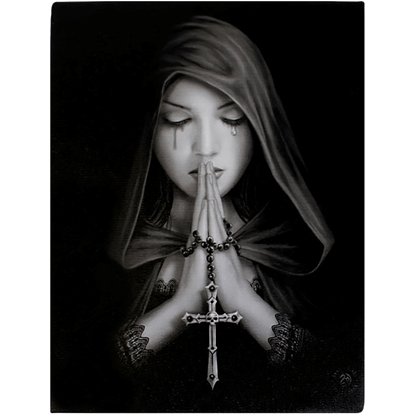 Only under certain conditions may one resurrect those who have died. 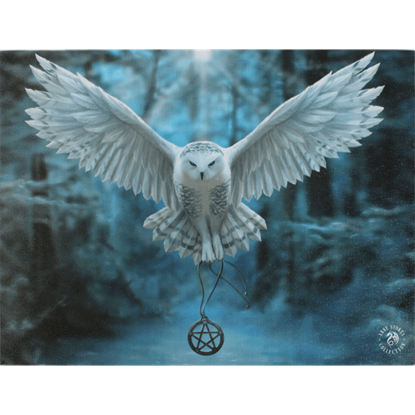 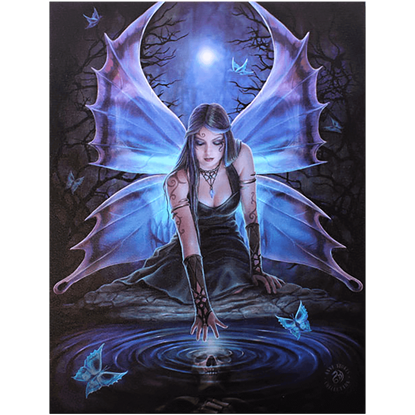 The Immortal Flight Canvas Print by Anne Stokes depicts a fairy seizing one such moment to return the soul of a deceased comrade beneath the light of the moon. 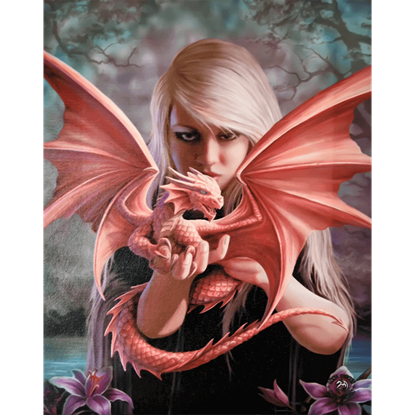 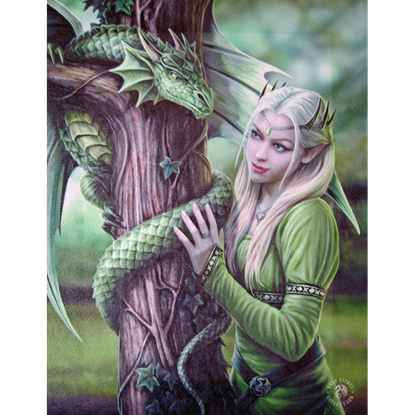 Both lifelong dwellers of the seemingly infinite forest, the elven beauty and her dragon friend depicted in the Kindred Spirits Canvas Art Print by Anne Stokes have found their forever home in the land of trees and leaves. 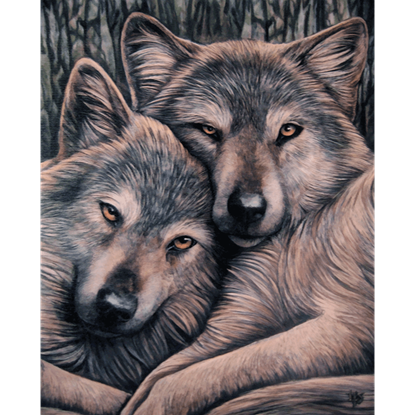 Tenderly resting together, the wolves in our Loyal Companions Art Print are delicately detailed, with every strand of fur painted with care. 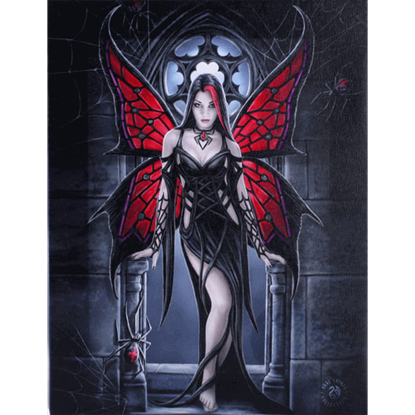 This stunning piece by Lisa Parker comes complete with wooden frame and mounting hardware.